The full course is 42 minutes long and available in a number of affordable formats. The lift radius of a crane can be divided into quadrants. 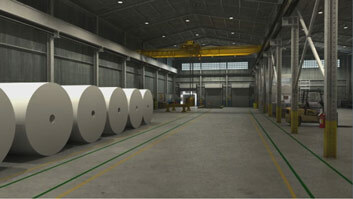 The lifting capacity depends on where the lift occurs. 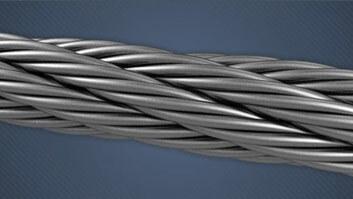 OSHA has established the minimum clearance required between cranes and electrical power lines. Cranes are important pieces of equipment that are carefully designed and manufactured. When used properly, cranes provide a safe way to lift objects, and truck mounted cranes can be especially useful because they are mobile. However, cranes can pose many safety hazards. Cranes can tip over or contact electrical power lines. There is also the potential for moving or falling objects to strike workers, which is the leading cause of crane-related fatalities. Operators must be properly trained and everyone on the jobsite should be familiar with truck mounted crane safety. This course will describe common truck mounted crane types and components. 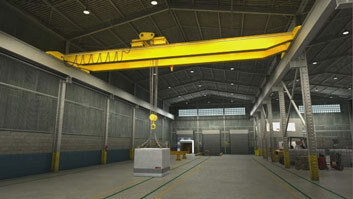 The main focus of the module will be on the safe operation of truck mounted cranes. 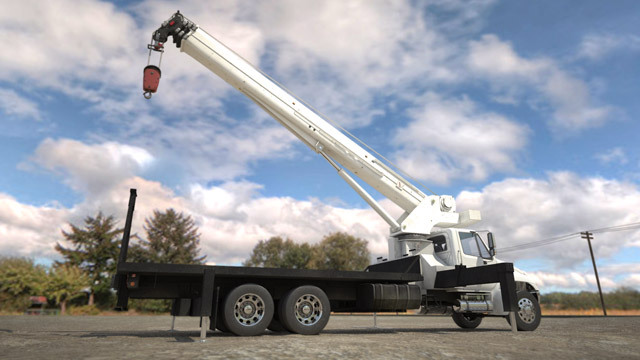 What are the types of truck mounted cranes? What is the purpose of load charts? What is the difference between a qualified and a certified crane operator? A qualified operator has received appropriate training from their employer, and a certified operator possesses a valid certification issued by a nationally accredited certifying agency. 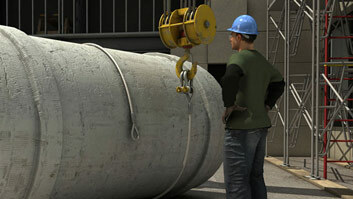 Crane certifications can go with an employee from one company to another, but a qualification does not. What information should be included in crane inspections? The parts can vary by crane type, but the following pages will describe the most common crane components. Outriggers or stabilizers extend from the base of the crane or other areas on the truck to provide stability while the crane is being operated. The base provides the main structural support for the crane. The crane rotation is controlled by a rotator attached to the base. A vertical column called a mast connects the main boom of the crane to the base. The main boom is raised and lowered by a hydraulic cylinder connected to the boom and the mast. An articulating boom crane will have a main inner boom and an outer boom that is extended by another hydraulic cylinder.